Notes on where to find historical aerial imagery (thanks to Kass Green): The USDA has an archive of aerial imagery in Salt Lake City at APFOhttp://www.fsa.usda.gov/programs-and-services/aerial-photography/index. There is a ArcGIS online map of the tiles and dates of this photos. Search in ArcGIS online for the AFPO Historical Availability Tile Layer. USDA is in the process of scanning these photos, but you can order them through a manual process now (which can take a long time). The EROS data center in Sioux Falls also has an archive of high altitude photos for the US from the 1980s. 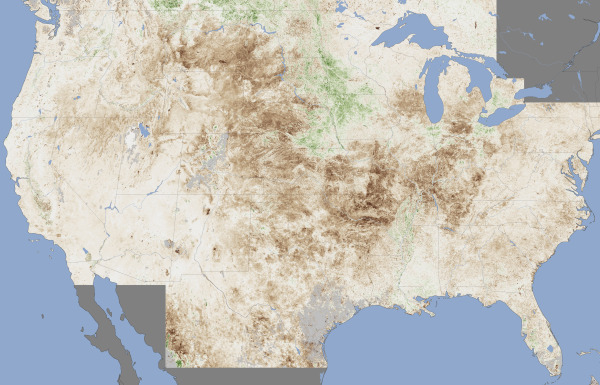 Also check out https://lta.cr.usgs.gov/NHAP and https://lta.cr.usgs.gov/NAPP . These photos are available digitally, but are not terrain corrected or georeferenced. Where is the best source for NAIP information for California? How many times has NAIP been acquired for California? I was not aware the flight schedule was this frequent. Still, I can't find a definitive information source that helps. As part of the massive ongoing effort to map Sonoma County with high-res imagery and lidar, historic imagery of the county was collected and georeferenced. The Sonoma County Agricultural Preservation and Open Space District funded SFEI to mosaic 72 historic aerials taken over Sonoma County by the Department of Defense in 1942. Mark Tukman put together this web service with a image swiping tool showing the combination of the 2011 imagery service and the mosaiced historic imagery. About the historic imagery: In 1942, the Department of War collected air photos in anticipation of a possible strike. These photos are the earliest complete image set for Sonoma County and give us an unprecedented look at Sonoma County's agriculture and open space prior to the post World War II baby boom. These images are snaps from the service, both from an area outside Rohnert Park in Sonoma County: on the left is the image from 1942, on the right is the area in 2011 showing considerable development. LDCM releases first images of Earth! Turning on new satellite instruments is like opening new eyes. This week, the Landsat Data Continuity Mission (LDCM) released its first images of Earth, collected at 1:40 p.m. EDT on March 18. The first image shows the meeting of the Great Plains with the Front Ranges of the Rocky Mountains in Wyoming and Colorado. 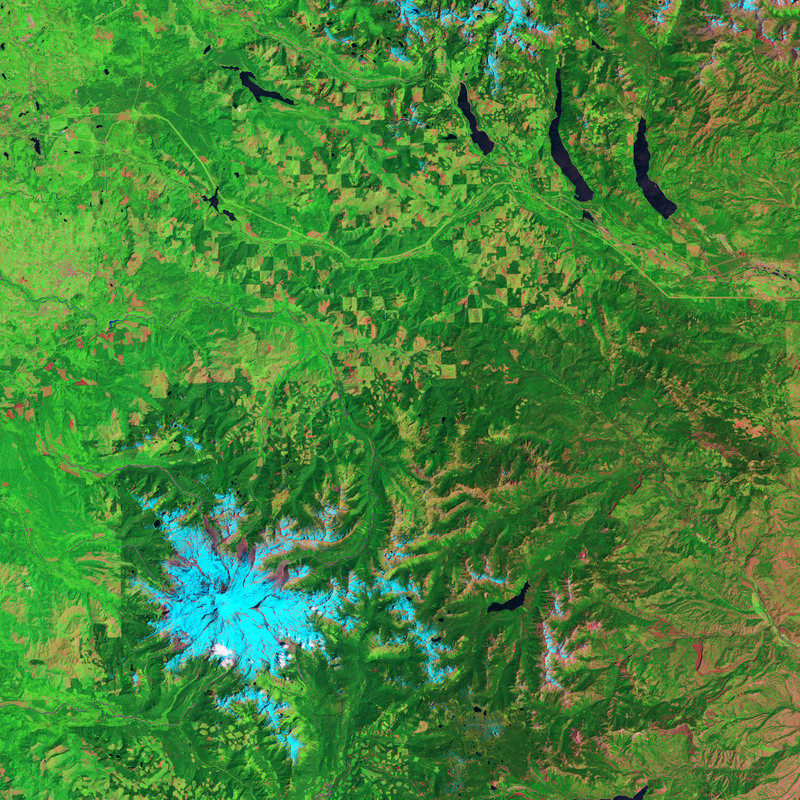 The natural-color image shows the green coniferous forest of the mountains coming down to the dormant brown plains. The cities of Cheyenne, Fort Collins, Loveland, Longmont, Boulder and Denver string out from north to south. Popcorn clouds dot the plains while more complete cloud cover obscures the mountains. "Depicting America’s diverse landscapes on photos taken from ultra lights to satellites, the Earthscapes stamps provide a view of the nation’s diverse landscapes in a whole new way — from heights ranging from several hundred feet above the earth to several hundred miles in space. 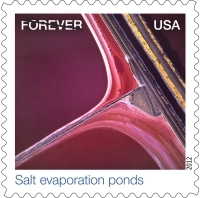 south bay salt pondsThe stamps provide an opportunity to see the world in a new way by presenting examples of three categories of earthscapes: natural, agricultural, and urban. The photographs were all taken high above the planet’s surface, either snapped by satellites orbiting the Earth or carefully composed by photographers in aircraft. Howard E. Paine of Delaplane, VA, was the art director." The Bing Maps team has anounced the completion of the Global Ortho Project for the US. The project provides 30cm resolution imagery for the entire US, all acquired within the last 2 years. You can access all of the imagery now through Bing Maps, it is pretty amazing to see such detail for all of the far off places that typically don't get high resolution attention. Find out more about the project from the Bing Maps Blog, or view the data for yourself. Earlier this week we in ESPM heard a report from the folks in the SWIRL marketing team, who have been working to extract the essence of what we do in ESPM and in CNR. Their proposed tagline for us is: "See the bigger picture. Make a better world." Which aptly describes what we do in applied geospatial sciences. I kinda wish I'd thought it up myself. And since this summer marks the 40th anniversary of the Landsat program, I thought I'd use this post to talk about how our ability to observe the earth from space does indeed fit this new tagline. July 23, 1972 ERTS Earth Resources Technology Satellite (ERTS), later christened Landsat 1, was launched into a near-polar orbit. We had our first earth-watching, civilian science satellite. ERTS instruments recorded information in four spectral bands: red, green, and two infrared. 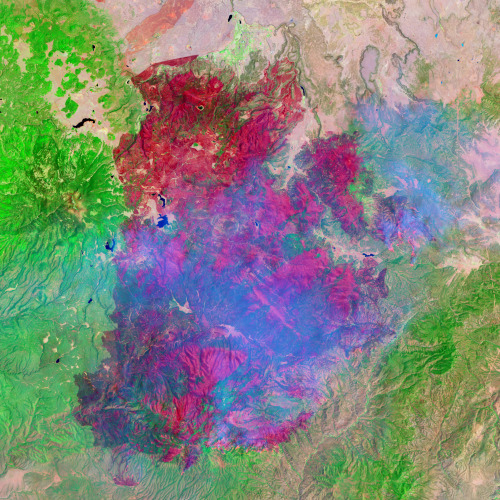 Remote sensing missions have continued through the decades that followed, making modern earth system science, landscape ecology, agriculture prediction, and many other fields possible. The Landsat missions continue with some blips: Landsat2 was launched in 1975, Landsat 3 in 1978; Landsat 4 in 1982 and Landsat 5 in 1984; in 1993 funds were found to keep Landsat 4 and 5 operational just before Landsat 6 failed upon launch in 1993 and ended up in the Indian Ocean. Landsat 5 only recently gave out after 27 year of imaging; Landsat 7, launched in 1999 continues its work as well. 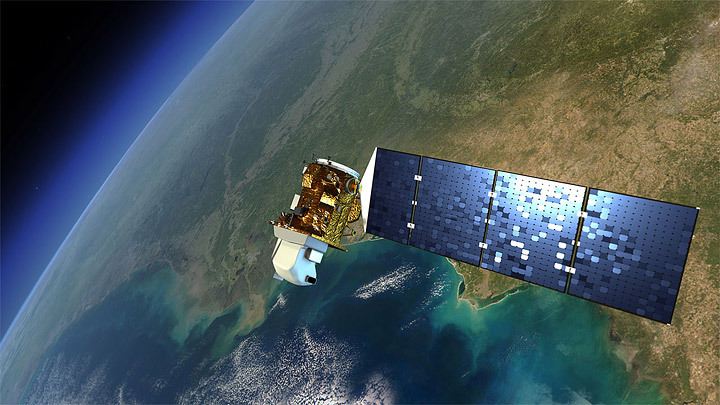 The eighth satellite, dubbed the Landsat Data Continuity Mission (LDCM), is scheduled for launch in 2013. It will be the next chapter for the longest-operating Earth-observing program in the world. More information here: http://earthobservatory.nasa.gov. Landsat 7 is entirely government owned and operated, and after launch, the USGS was charged with distributing the data at government (nonprofit) rates. Today, the USGS distributes Landsat data over the Internet for free, and usage has exploded. Back in the day, we had to pay for each scene individually. This tended to limit the ability to work at regional, let alone global scales. The new model of data distribution has made a number of on-line resources and visuzalizations possible. Additionally, there are currently a quarter of a million science citations that use Landsat imagery, focusing on agriculture, oceans, land change, urban and natural areas. This image above was the first image from the Landsat program. It shows Dallas, TX. Check out those reservoirs! Trying to understand the habitat in which we live requires an ability to read it - and not just in a loose metaphorical sense. Every inhabited landscape is a palimpsest (this is me now: what an awesome word! see below for definition), its original parchment nearly blackened with the cross-hatching of successive generations of authors, claiming this place as their own and imposing their designs on it, as if their temporary interpretations would stand forever. Later overwriting has obscured all but a few, incompletely erased fragments of the earliest entries on the land, but one can still pick out a phrase here, a word there, and see how the most recently dried layer is already being partially effased with fresh ink. From wikipedia: A palimpsest is a manuscript page from a scroll or book from which the text has been scraped off and which can be used again. I had not heard of its used as a metaphor for a landscape before, but I like it! Hajdúböszörmény, Hungary. LandsatYesterday this NASA image post came across my screen as a fitting example of what Raban is talking about. In the text that accompanies the image, they say "The history of Hajdúböszörmény, Hungary, echoes across its name and over its outline on the land." They go on to discuss the derivation of its name, which echoes past conflicts and local economy, and show how its history is written on the land, in layers of land use. 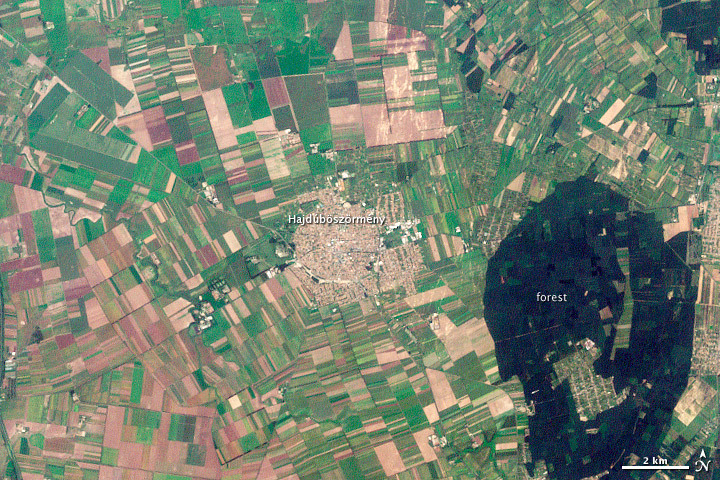 "The city is round, a shape easily defended on the flat North Pannonian Plain in northeastern Hungary. The livestock-based economy may also play a role in the shape of the city. The center is densely built, a concentrated ellipse of tan and white. Surrounding the center is a slightly less dense circle, marked by diagonal roads, which held stockyards and gardens. Even today, tiny spots of green indicate that this area contains more open garden space than the city center." Hooray for geography, landscape history and remote sensing. All fascinating subjects to study. And, I recently found this blogpost from Tim DeChant, former grad student and honorary geographer, in which he describes "ghosts of geography". earthmine's Anthony Fassero visited yesterday to give a Geolunch presentation and blew us away with the amazing technology that they are employing! Anthony, and Co-Founder John Ristevski started earthmine just a few years ago after graduating from Cal. earthmine has developed the camera system and engineering to take high resolution 3d street level images using only photogrammetric techniques (no lidar), as well as software tools that allow users to work with the data directly in ArcGIS and other geospatial applications. These tools allow you to not only view the data alongside a map, but to actualy make 3d measurements one the fly and edit ancillary data layers from within the phot view. You have to see it for yourself! Check out this video to see teh data and tools in action. "This is the first time we've used the ASTER instrument to track the wake of a super-outbreak of tornadoes," says NASA meteorologist Gary Jedlovec of the Marshall Space Flight Center in Huntsville, AL. How would you map it? as a line or as a field? Another cool image of the tornado track. 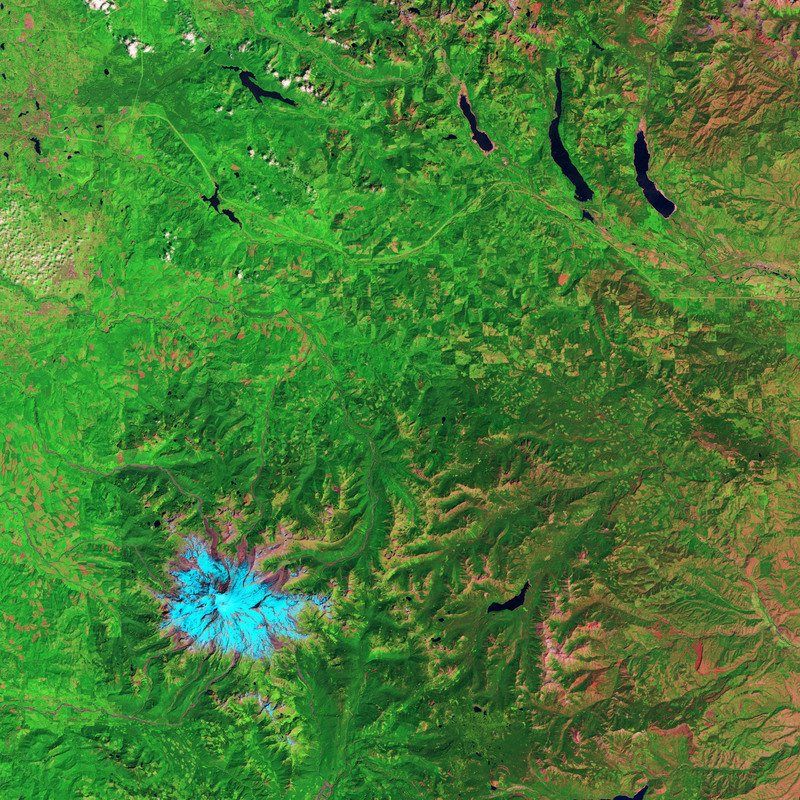 These shots (both Landsat 5) are from much larger images provided by NASA Earth Observatory. They depict forest clearing and regrowth in Washington state. The checkerboard pattern is typical of land ownership patterns in the American West. A nice article on this checkerboarded ownership patterns is here. The overall article talks about carbon storage and forestry; the point of the images below is 1) the pattern of clearing in 1984, which is really quite interesting and abstract, and 2) the regrowth in 2010. 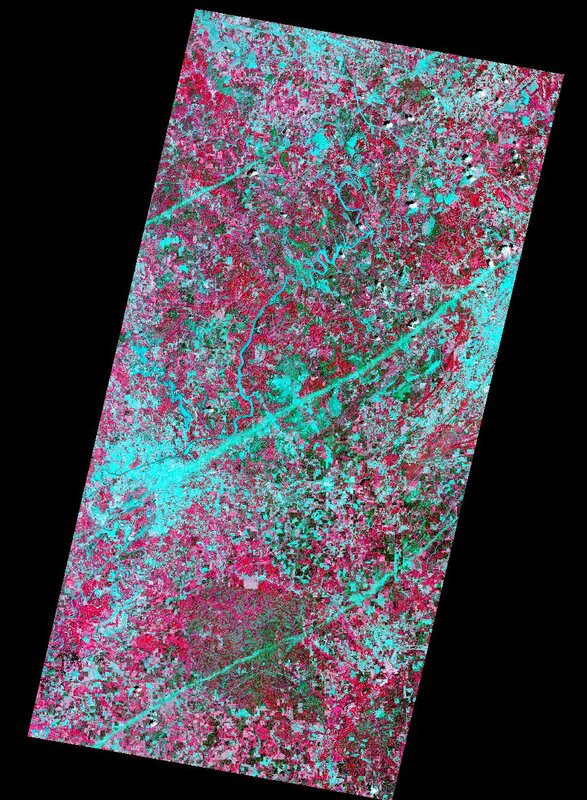 This pair of images, both from the Landsat 5 satellite, shows grids of forest disappearing and gradually regrowing over 26 years. In 1984, logging in the area appears to be in the early stages. In many places, red-brown earth is exposed under the swaths of freshly cut forest. Other grids, cleared just a bit earlier, are pale green with newly growing grasses or very young trees. The rest of the image is dominated by the deep green of dense, mature forest. In 2010, the logging operation seems to be more mature. There is little evidence of fresh cuts, but some areas have been recently cleared. Pockets of mature forest remain, and forest is regrowing in other places. Grids that had been clear in 1984 are forested in 2010. When we clear forests, we remove a dense growth of plants that had stored carbon in wood, stems, and leaves—biomass. By removing a forest, we eliminate plants that would otherwise take carbon out of the atmosphere as they grow. We also expose soil that vents carbon from decayed plant matter into the atmosphere. Humans are currently emitting just under a billion tons of carbon into the atmosphere per year through land use changes. Changes that put carbon gases into the atmosphere result in warmer temperatures on Earth. Satellite images like these help scientists estimate how much carbon dioxide goes into the atmosphere when a forest is cleared, and how much carbon dioxide is being taken out of the atmosphere as a forest regrows. Read more in the Carbon Cycle feature. Mataiva Atoll, Tuamotu Archipelago, South Pacific OceanFrom the NASA Earth Observatory Image of the Day: The Tuamotu Archipelago is part of French Polynesia, and forms the largest chain of atolls in the world. This astronaut photograph features Mataiva Atoll, the westernmost atoll of the Tuamotu chain. Mataiva Atoll is notable in that its central lagoon includes a network of ridges (white, image center) and small basins formed from eroded coral reefs. Mataiva means “nine eyes” in Tuamotuan, an allusion to nine narrow channels on the south-central portion of the island. The atoll is sparsely populated, with only a single village—Pahua—located on either side of the only pass providing constant connection between the shallow (light blue) water of the lagoon and the deeper (dark blue) adjacent Pacific Ocean. Much of the 10-kilometer- (6-mile-) long atoll is covered with forest (greenish brown). Vanilla and copra (dried coconut) are major exports from the atoll, but tourism is becoming a larger part of the economy. This is not a satellite image, but a photograph taken by the Expedition 24 crew from the International Space Station (I think) on August 13, 2010, with a Nikon D2Xs digital camera using a 400 mm lens. More here. Digital Globe is offering free access to Haiti imagery pre- and post-earthquake. KML Overlay for Google Earth that displays the most current imagery for a given location. ImageConnect plug-in for GIS software that allows GIS professionals to view all the images that have been loaded to the Crisis Event Service. 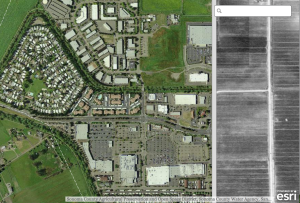 FTP access to GeoTIFF imagery from QuickBird, WorldView-1 and WorldView-2.